Macedonia is a geographical and historical region of the Balkan peninsula in south-eastern Europe whose area was re-defined in the early 20th century. It covers about 67,000 square kilometres and a population of 4.76 million. The territory corresponds to the basins of (from west to east) the Aliákmon, Vardar/Axios and Struma/Strymon rivers (of which the Axios/Vardar drains by far the largest area) and the plains around Thessaloniki and Serres. 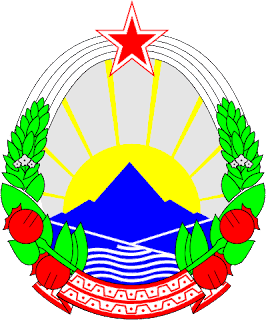 Macedonia, or more fully, the Republic of Macedonia, is a country with a population of 2, 000, 000 and an area of 9, 600 square miles, about the size of Vermont, with its capital at Skopje. It is a landlocked country bounded by Greece, Serbia- Montenegro, Bulgaria and Albania. The Prime Minister is Vlado Buckovski and the President is Branko Crvenkovski. The population is around two- thirds Macedonian, with the other third consisting of several ethnic groups, principally Albanians. The Macedonian Orthodox Church was formed in 1945 as the spiritual heir of the Bulgarian Archbishropic of Ohrid, abolished in 1767 by the Ottoman Turks. The Macedonian language is considered a member of the southern branch of the Slavic languages, one of the subdivisions of the vast Indo-European family. Bulgarians consider Macedonian a dialect of Bulgarian. 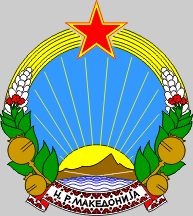 The Republic of Macedonia is sometimes called FYROM, an acronym for the Former Yugoslav Republic of Macedonia. Countries that have recognized Macedonia, including the US, China and Russia, refer to it as Macedonia, whereas Greece and some other countries call it FYROM. Macedonia is also the name of a much larger geographical region, 26, 000 square miles, that includes not only the Republic of Macedonia, but also three peripheries (political subdivisions) in Greece, called West, Central and East Macedonia, as well as a part of Bulgaria. Greeks claim that the name Macedonia refers properly only to the part of this region that lies within Greece, and, in the early 90 's, actually mounted an embargo against the Republic of Macedonia for its use of that name, This became an issue that helped lead to the downfall of former Greek Prime Minister Konstantinos Mitsotakis at the hands of hardliner Andreas Papandreou. Macedonians claim that Greeks wrested control of their part of the region in the Second Balkan War of 1913, and that the Macedonian population remaining in Greece constitutes a captive element. Greeks outlawed the Macedonian language and required submission to the Greek Orthodox Church. There are a number of difficulties involved in the Macedonian question. One issue is Alexander the Great. Almost any history book you find refers to the great conqueror as Alexander of Macedon. The question is whether the ancient Macedonians were Greeks. The Greek point of view is that the Macedonians were just another subdivision of the Greek, or Hellenic, people, like the Athenians and the Spartans. So they call the period that Alexander inaugurated the Hellenistic Period, instead of the Macedonian Period, appropriating its fame and glory. The modern Macedonian view is that the ancient Macedonians, from whom they claim cultural and ethnic descent, were a people distinct from the Greeks. They further maintain that the Greeks, upon gaining their independence from the Turks in the 1830's, began creating the mythos of their own direct lineage from Hellenistic Greece, introducing the Katharevousa, a failed attempt to restore a more classical kind of Greek and purging the country of any artifacts and writings clashing with their propaganda. In another article, "Are Greeks Greek? ", I question whether Greek ethnic continuity can have been possible in view of all the invasions of Greece over the centuries. Greeks argue that, since the modern Macedonian language is a Slavic language and since, according to their view, the Slavs arrived many centuries after Alexander's time, the modern Macedonians cannot be the descendants of the ancient Macedonains. This raises the question of how anyone knows that the language of Alexander was not the matrix from which the Slavic languages sprang. Ancient writers only hint at the existence of a separate Macedonian language in Alexander's time, and, apparently, not enough is known about it at present to show whether it was merely a variant of Greek or whether it was an entirely different language, which Macedonians suggest may have been a sort of proto-Slavic. Of course, in this area, we're in highly conjectural tangles. If Greece were to recognize Macedonia fully, it would tend to legitimize Macedonian ownership of the legacy of Alexander, which Greeks feel is rightly their own. Apparently, the real crux, though, is that Greek acceptance of the name of Macedonia would be tantamount to admitting that Macedonians constitute a nationality in their own right. This would lead to the conclusion that Macedonians, in and out of Greece, are entitled to a unified homeland, which would be the greater Macedonia that includes the three Greek peripheries. Of course, Greece's territorial integrity is at stake in the question. As of the beginning of the year 2005, the Greco-Macedonian debate is still going on, with protests against the US diplomatic recognition of the Republic of Macedonia, extended just three months ago. Personally, I'm in favor of a united Europe, so anything that sounds like separatism, secession or partition is anathema. Secondly, as for Alexander, I know millions of people consider him a great hero, like Caesar, Napoleon or Genghiz Khan, but how many thousands of poor hapless fools like me had to die for there to be one Alexander? I have written two books: A SOJOURN IN ASIA (non-fiction) and A TALE OF UNG (fiction), neither published so far. I have studied languages for years and traveled extensively on five continents.